Daily frustration is not fun. Poor Mr. Wilson. 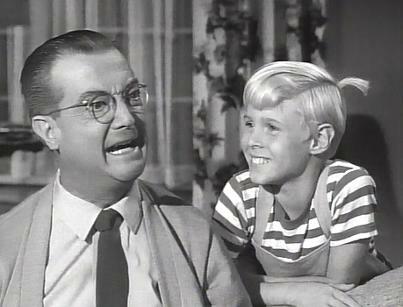 In the comics, young Dennis would frustrate Mr. Wilson with his hair-brained ideas and incessant bantering. Often Mr. Wilson would be screaming for Dennis to leave him alone, to leave his property, to leave the planet. And yet, in about an hour, Dennis would be back to torment. Oh, the innocence of youth. From a capability standpoint, look inward. Think first about the likelihood of your situation changing. Too often, competent people believe that once a software product or process change is implemented, the world will upend and life will be returned to glory for you. Certainly, there should be changes as a result of such an implementation. The flow of data, the responsibilities of the employee and manager, the employee experience in accessing information and making necessary edits, and the improvement to productivity should be measured now that these changes were put into place. Yet, it may not mean (and often does not) that interaction with people is replaced or removed. Further, are you practicing good techniques for managing the annoyances? These open-door policies that we pride ourselves on are not really meant to make us sit at the whim of the next person who has a hangnail. And if you have a couple of particularly draining folks regularly eager to chat with you, it’s like brushing your teeth with sandpaper. We don’t have to really care about every little iota, but we do need to have an outlet for employees to work through those work-related issues. But, it’s okay to shut the door at times to handle the other parts of your role. Those victories will embolden you to better deal with the reopening of the door. The pressure of the next item on the checklist will not be as sharp. The mobility of the workforce today is vital. Somewhere along the way, however, we may have believed that this would remove the annoyance of dealing with people. That unspoken expectation will exasperate us. Challenge the basis of expectations first. Why do you think the way you think in this area? If you’re in a people-centric role, then no amount of software or distance will change the amount of communication you’ll be having. Do you know how to manage the conversation? The person who sits in your office for an hour to discuss a situation might not need that long. Lead that dialogue while clearly listening to the employee. It’s an art, and it is one that needs skill development. And it is an amplified skill in the world of remote workers. Rapport development will assist greatly in mitigating conversations from being elongated. How do you develop healthy rapport with workers equally – whether in the office or remotely? Seek the wisdom of those you observe in other departments doing a better job of managing difficult people. Study their techniques, ask for thought processes and practice what you’re taking in. This is a better use of energy, rather than storing up frustrations and losing it at random times. Explosions don’t work. Passive-aggression does not work. Talking crap about people behind their backs does nothing to move an organization forward. You need to sit with your “Dennis” and listen with intentional boundaries of time and topic. The truth is you do care. Let’s just do it with the right tools and time.